I recently presented “How To Use Online Technology To Boost Your Business” at the Triathlon America conference. Feel free to check out the slides – which will help you turn from online dinosaur to internet ninja! February’s “Social Media For Fitness Professionals” Posted! You can access February’s “Social Media For Fitness Professionals” by clicking here. 1) Evernote – I use an Evernote “note” to keep track of my daily to-do list. Since it syncs to my Kindle and iPhone, I can access my to-do list from anywhere. I used to use a plain text document for my to-do list, but it was only accessible on my computer, so Evernote is better for this. 2) SendToReader on Kindle – Rather than reading an article on my computer, I am now more typically using the “SendToReader” function on my browser and reading that article on my Kindle when I am standing in line, sitting in an airplane, using the restroom, etc. Did that video help you? For one buck, you can get insider access to me, my workouts, my diets, and the way I manage my life. Click here to do it. Social Media Tips For Fitness Professionals – The December Edition! Over at PTOnTheNet, I just released December’s “Social Media Tips For Fitness Professionals”, where I talk about a new service called Quipol, how to design your YouTube channel, Slideshare developments and more! You can read it by clicking here! P.S. I just launched the Tri-Ripped Triathlon Training Affiliate program (click here for details). Launch date is January 12 and I’m giving away lots of Kindle Fires and money, so be sure to check it out to promote! Social Media Tips For Fitness Professionals – The November Edition! 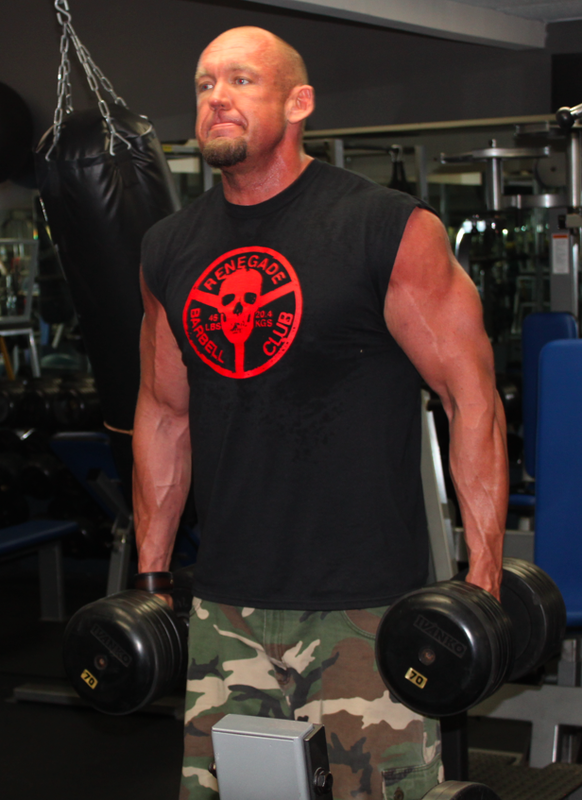 Over at PTOnTheNet, I just released November’s “Social Media Tips For Fitness Professionals”. You can read it by clicking here! How To Use A Team To Help Your Business Succeed & Make More Money. I use the team at Freedom Fast Track. Send an email to Jeremiah at jburns@FreedomFastTrack.com and tell him I sent you. One of the better business decisions I made was to work with these folks. Let me know if you have questions by leaving your comments below. Published on October 28, 2011 in Uncategorized. 5890 Commentshttp%3A%2F%2Ftrainfortopdollar.com%2Fthe-business-of-coaching-triathlon-coaching-tips.html%22The+Business+Of+Coaching%22+-+Triathlon+Coaching+Tips2011-10-28+16%3A22%3A33Ben+Greenfieldhttp%3A%2F%2Fwww.trainfortopdollar.com%2Ftrainfortopdollar%2F%3Fp%3D589 Tags: business of triathlon coaching, triathlon coaching buisness, Triathlon coaching tips. Over at the Rock Star Triathlete Academy, we have a “Business of Triathlon Coaching” member upgrade – and we teach coaching strategies and business tips there. Currently, we’re turning all previous calls into audios and transcriptions for members to access in a convenient package. I want to share one of the transcriptions with you. The most important trait of a triathlon coach when attempting to map out the pathway to achieving a client’s goals and the tools to be used…. The most common mistakes people make in their first year of coaching…. #1: Power Hour. Every morning, I do 1) devotions; 2) a morning stretch routine; 3) review my day on ImOnTime; 4) snuggle with the kids. This is far superior to leaping out of bed and making phone calls or checking e-mail. Published on September 23, 2011 in Uncategorized. 5780 Commentshttp%3A%2F%2Ftrainfortopdollar.com%2F16-killer-tips-for-improving-conversion-on-your-online-sales-page.html15+Killer+Tips+For+Improving+Conversion+On+Your+Online+Sales+Page2011-09-24+01%3A45%3A49Ben+Greenfieldhttp%3A%2F%2Fwww.trainfortopdollar.com%2Ftrainfortopdollar%2F%3Fp%3D578 Tags: increase sales page conversion, online sales page conversion tips, online sales page design, sales page conversion, sales page design. Whether you’re selling your personal training services, a fitness or nutrition e-book or program, or a series of training plans, it is crucial that you be sure to take into account the tiny little details that will improve sales conversion. While these 15 killer tips for improving conversion on your online sales page may seem small and irrelevant, they can in fact lead to enormous percentages in sales increase for your programs and services. Please remember that these tips are for an online sales letter page…not necessarily something like a video sales page, which has it’s own set of important criteria I may blog about later if you like this article. Every month, I write a Social Media Tips For Fitness Professionals article at PTOnTheNet.com. In the article, you learn about how to use Twitter, Facebook, LinkedIn and other social media platforms to grow your fitness business. Published on August 27, 2011 in Uncategorized. 5690 Commentshttp%3A%2F%2Ftrainfortopdollar.com%2Fhow-to-start-a-successful-triathlon-coaching-business.htmlHow+To+Start+A+Successful+Triathlon+Coaching+Business2011-08-27+14%3A24%3A33Ben+Greenfieldhttp%3A%2F%2Fwww.trainfortopdollar.com%2Ftrainfortopdollar%2F%3Fp%3D569 Tags: triathlon coaching, triathlon coaching business. No matter how much you know about anatomy, physiology, swimming, cycling and running, you simply won’t succeed unless you structure your triathlon business properly and set yourself up to be able to get new clients and keep your current clients happy. In a new USA Triathlon webinar that I taught, you’ll learn how to structure your business, set-up pricing and fees, collect payment from clients, advertise, design your web presence, and much more! Published on August 15, 2011 in Uncategorized. 5620 Commentshttp%3A%2F%2Ftrainfortopdollar.com%2Fsocial-media-tips-for-fitness-professionals.htmlSocial+Media+Tips+For+Fitness+Professionals2011-08-15+16%3A29%3A13Ben+Greenfieldhttp%3A%2F%2Fwww.trainfortopdollar.com%2Ftrainfortopdollar%2F%3Fp%3D562 Tags: Social Media Tips For Fitness Professionals. Every month, I write an article over at PTOnTheNet.com about how fitness professionals can utilize the latest and greatest social media techniques to enhance business productivity, client interaction, and success. These are really worth a read, so click here for PTOnTheNet’s Social Media Tips For Fitness Professionals, August edition. In the past 9 articles in this series, you’ve learned quite a bit about nutrition. Based on ongoing research, recommendations on everything from carbohydrates, to proteins, to fats, to hydration, to electrolytes and supplements will constantly change. So how do you stay on top of things, so that you can deliver to your clients the most cutting edge knowledge possible? –Stone Hearth Newsletters – At this website, you can subscribe to a series of newsletters on specific topics about nutrition and science. They’re free, and delivered straight to your inbox. Why Blogging Is The Most Powerful Thing You Can Do For Your Fitness Business. Published on July 8, 2011 in Tweet Old Posts. 5060 Commentshttp%3A%2F%2Ftrainfortopdollar.com%2Fwhy-blogging-is-the-most-powerful-thing-you-can-do-for-your-fitness-business.htmlWhy+Blogging+Is+The+Most+Powerful+Thing+You+Can+Do+For+Your+Fitness+Business.2011-07-08+19%3A40%3A39Ben+Greenfieldhttp%3A%2F%2Fwww.trainfortopdollar.com%2Ftrainfortopdollar%2F%3Fp%3D506 Tags: chris mccombs, fitness business blogging, how to blog, how to blog fitness, personal trainer blog. In my opinion, one of the greatest proofs that blogging is the most powerful thing that you can do for your fitness business is expressed quite eloquently by my fellow personal trainer Chris McCombs. I first met Chris at a fitness expo in California, and he is an interesting character. Published on June 24, 2011 in Tweet Old Posts. 5020 Commentshttp%3A%2F%2Ftrainfortopdollar.com%2F10-easy-steps-to-teaching-your-personal-training-clients-about-nutrition-part-9-stress-sleep.html10+Easy+Steps+To+Teaching+Your+Personal+Training+Clients+About+Nutrition+-+Part+9%3A+Stress+%26+Sleep2011-06-24+17%3A00%3A11Ben+Greenfieldhttp%3A%2F%2Fwww.trainfortopdollar.com%2Ftrainfortopdollar%2F%3Fp%3D502 Tags: personal training clients, personal training results, sleep, stress. It doesn’t matter how much you exercise, how well you eat, or how strictly you control your caloric intake – your body is constantly stressed or your sleep is inadequate, you will constantly fail in pursuing your health, wellness, or performance goals. But if these barriers are removed, you will vastly improve your ability to gain maximum benefits from a good nutrition plan. The body has several neurotransmitters that are actively involved in control of appetite and mental motivation. Dopamine, one neurotransmitter, is your body’s pleasure molecule, acting to significantly affect desire for activity, eating satisfaction and food cravings. Inadequate dopamine increases the chances that you will have a decreased drive to exercise and be less effective at regulating your nutritional intake. Published on June 19, 2011 in Tweet Old Posts. 4990 Commentshttp%3A%2F%2Ftrainfortopdollar.com%2Fhow-to-turn-an-e-book-into-a-facebook-app.htmlHow+To+Turn+An+E-Book+Into+A+Facebook+App2011-06-20+02%3A59%3A37Ben+Greenfieldhttp%3A%2F%2Fwww.trainfortopdollar.com%2Ftrainfortopdollar%2F%3Fp%3D499 Tags: How To Turn An E-Book Into A Facebook App, shape21 facebook app. Facebook is taking the world by storm. Half a billion people use it, for crying out loud. So are your products on Facebook? And can people buy those products using Facebook credits? So to see how I turned an E-book into a Facebook app, and how you can do it too, go check out the Shape21 App on Facebook. Leave your questions below. So if your clients eat their fruits and vegetables, expose themselves to adequate sunlight, get plenty of sleep, and stay well hydrated, their body shouldn’t really need a supplemental source of vitamins and minerals, right? Here are 5 powerful reasons that you explain to your clients about why they need to take a multi-vitamin, no matter how healthy their lifestyle may be. 1. Nutrient depletion in the soil. Modern farming techniques utilize fertilizers that actually deplete the soil of essential nutrients. Agriculture relies on the elements in the soil for absorption of proper amounts of minerals, and when this process is interrupted, the plant does not contain essential minerals and cannot form essential vitamins. And if the plant doesn’t have it then you’re not going to get it from eating the plant! Published on May 27, 2011 in Tweet Old Posts. 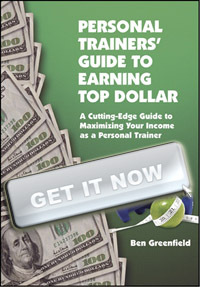 4850 Commentshttp%3A%2F%2Ftrainfortopdollar.com%2F10-easy-steps-to-teaching-your-personal-training-clients-about-nutrition-part-6-fiber.html10+Easy+Steps+To+Teaching+Your+Personal+Training+Clients+About+Nutrition+-+Part+6%3A+Fiber2011-05-27+17%3A54%3A28Ben+Greenfieldhttp%3A%2F%2Fwww.trainfortopdollar.com%2Ftrainfortopdollar%2F%3Fp%3D485 Tags: fiber, nutrition consulting, personal training clients nutrition, personal training nutrition. When if comes to fiber, the benefits are numerous, but the simple fact is that most of the people you train are probably not getting enough of it, although they will most likely think that they are getting enough. Nine time out of ten, I’ll perform a nutritional analysis on an individual who tells me they’re “eating their fiber”, and this consists of a bowl of oatmeal in the morning, a small salad with lunch, and some roasted veggies with dinner. With all the benefits that fiber gives, there’s no excuse not be eating more of it. Unfortunately, it’s a rare person that has time to actually count how many grams of fiber they’re getting, so general recommendations make a lot more sense. Not that your clients have to stock their refrigerator with wood chips, dump a gallon-size ziplock bag of flax seed on their morning cereal, or stroll around chewing on a crumpled wad of paper, but proper fiber intake *is* important – and offers free health benefits that shouldn’t be ignored. If they can decrease how much they spend on health care, increase the benefit of their exercise routine, and feel more energy and less stress, then they should take that extra step to hunt down some fiber! Published on May 20, 2011 in Uncategorized. 4880 Commentshttp%3A%2F%2Ftrainfortopdollar.com%2Fusa-triathlon-coach-webinar-triathlon-lifestyle.htmlUSA+Triathlon+Coach+Webinar+-+%22Triathlon+Lifestyle%222011-05-20+18%3A54%3A00Ben+Greenfieldhttp%3A%2F%2Fwww.trainfortopdollar.com%2Ftrainfortopdollar%2F%3Fp%3D488 Tags: Triathlon coach webinar, USAT Triathlon Coach, USAT webinar. Here’s one for you triathlon coaches out there. This is a link to a webinar I taught for USA Triathlon, entitled “The Triathlon Lifestyle: How To Train For Triathlon & Still Have Time For Friends, Family & Career.” This will be an invaluable set of resources for you as both a coach with busy life, and for getting better results from your athletes. You can get the webinar, with slides and audio, by clicking here. Enjoy, and leave your comments or questions below! In the last article of this series, you learned about the importance of water. But ultimately, it doesn’t matter how much water your clients are drinking if they are not consuming adequate electrolytes. When you consider the fact that over 75% of active athletes are deficient in magnesium, – an electrolyte that is crucial for muscular contraction, the pacemaker activity of the heart, and muscle repair and recovery – it becomes pretty easy to understand why so many individuals just aren’t able to perform to their desired capabilities during fitness sessions, and why they just don’t recover properly afterwards. So what is the best way to explain electrolytes to your clients? In order to educate you on electrolytes, I have actually prepared a special slideshow, entitled “6 Things Water Can’t Give You”. Ready to learn more about how to teach your personal training clients about nutrition? Today, you’ll learn how to emphasize the importance of water…and remember: when you teach your clients, your clients get better results, and your business grows. Published on March 31, 2011 in Tweet Old Posts. 4760 Commentshttp%3A%2F%2Ftrainfortopdollar.com%2F10-easy-steps-to-teaching-your-personal-training-clients-about-nutrition-%25e2%2580%2593-part-3-fat.html10+Easy+Steps+To+Teaching+Your+Personal+Training+Clients+About+Nutrition+%E2%80%93+Part+3%3A+Fat2011-03-31+22%3A50%3A50Ben+Greenfieldhttp%3A%2F%2Fwww.trainfortopdollar.com%2Ftrainfortopdollar%2F%3Fp%3D476 Tags: nutrition consulting, personal training clients nutrition, personal training nutrition. As you read through this series, remember that the goal is to give you basics of a simple way to teach your personal training clients about nutrition – and it is not meant to be a complete primer or university equivalent of Nutrition 101! This means that you feel free to put your own spin on the information if you want to add more for your class. For example, if you’re into more plant-based protein sources, tell your clients about hemp can and flax seeds, quinoa, nuts and rice protein. If you are more a paleo-type, introduce them to healthy beef jerky, lamb, or cold-water fish. You can also include discussions about omega-3 eggs, greek yogurt, whey protein and other dairy based sources. Speaking of omega-3’s, this article is going to cover the essentials of fat! Published on February 24, 2011 in Tweet Old Posts. 4630 Commentshttp%3A%2F%2Ftrainfortopdollar.com%2F10-easy-steps-to-teaching-your-personal-training-clients-about-nutrition-part-2-protein.html10+Easy+Steps+To+Teaching+Your+Personal+Training+Clients+About+Nutrition+-+Part+2%3A+Protein2011-02-24+18%3A56%3A35Ben+Greenfieldhttp%3A%2F%2Fwww.trainfortopdollar.com%2Ftrainfortopdollar%2F%3Fp%3D463 Tags: fitness business nutrition, nutrition consulting career, personal training career, personal training clients, personal training nutrition. Now that you have a good idea of how to teach your personal training clients about the basics of carbohydrates and performance, let’s move into the next logical macronutrient: protein. You’d be surprised at the number of people in your class who have only a very basic understand of protein, and often simply think that it is derived from meat and should be eaten with dinner. Begin your discussion of protein with an explanation to your client of what proteins actually are: vital components of every organ and action within the human body, without which we would simply cease to function. In the absence of proper nutritional building blocks for protein, the human body will cannibalize it’s own lean muscle mass and organs, and experience a weakened immune system, poor performance, and inadequate recovery and fitness response. Proteins are comprised of amino acids – many of which the body cannot make on it’s own unless complete proteins are present in the diet.